The Mini Phone Black is a cell phone as small as a credit card. The Mini Phone Black is the solution to avoid breakage or loss of your smartphone during sports activities, hobbies, holidays or parties. Indispensable accessory for travelers or people who have a second SIM card. 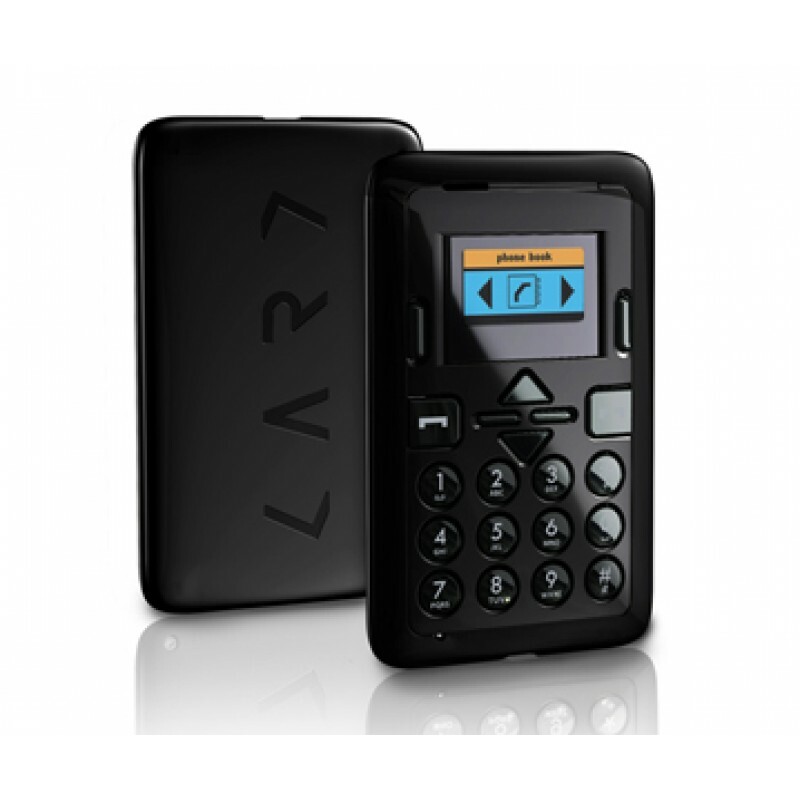 Easy to carry and discreet, this mini mobile phone is perfect for use as a secondary mobile phone: it is no longer necessary to remove and change SIM cards, simply use your second SIM card into the Mini Phone Black. This mini phone is also perfect for all parents who wish to provide to their children one cellphone to join them at any time. Its built in tracker allows to geolocate it in case of loss or theft. The Mini Phone Black can also connect to your iPhone or Android smartphone via Bluetooth. You can make calls from the mini phone via the SIM card placed into your smartphone and export, register your mobile's contacts in the mini phone's memory. The Bluetooth connection also allows to alert you when you move away from your smartphone. Make phone calls, send and receive your SMS easily. Geolocate the Mini Phone Black from your smartphone. Connects to your iPhone or Android smartphone. Fits easily in a pocket or wallet.